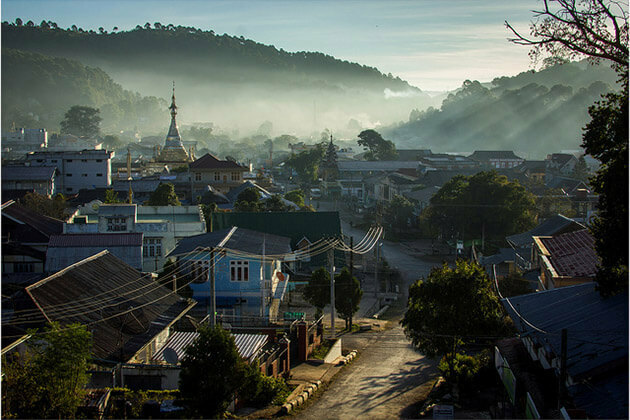 Myitkyina is the capital city of Kachin State of Myanmar (Burma), the city is 1,480 km away from Yangon, Mandalay and 785 km from Mandalay. 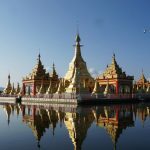 To date, Myitkyina is becoming more beguiling to visitors, it’s home to two of the most important ethnic festivals in Myanmar and the ideal starting point to an excursion to the largest freshwater lake in Myanmar – Indawgyi Lake. 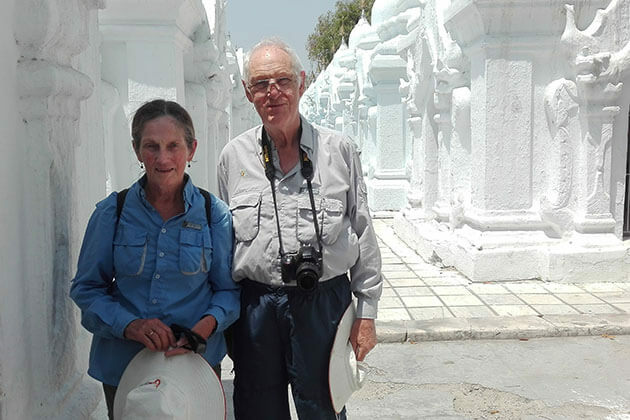 If you are planning for an off the tourist trail Burma tour, Myitkyna is a great choice. 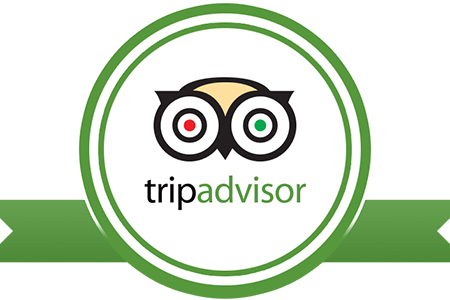 Let’s check out the best things to do and see in Myitkyna as below. The name of Myitkyina means “near the big river” in Burmese, and Myitkyina is located on the west bank of the Ayeyarwady River, just under 40 km (25 miles) from Myit-son (means “confluence ” in Burmese) of the first two upstream rivers (Mali and N’mai). The population of Myitkyina is about 150,000 people. Ethnic groups include Burmese, Chinese, and Indian. Kachin is the common language in the nearby regions, but Burmese is still the universal language. The city has Myitkyina University and Myitkyina airport. The most popular religion is Buddhism, Catholicism and other religions such as Animism, Hinduism and Islam are also practiced. Markets in Asia are always the best places to get a glimpse of the life of the local people. Base on the level of size and vibration that we could know about the local economy and standard of living. Myitkyna market is one of the best attraction in Myitkyina situated on the tranquil riverside that you could reach by a boat trip. Traveling to Mytkyna market, you will set foot on a lively market that is relatively large. 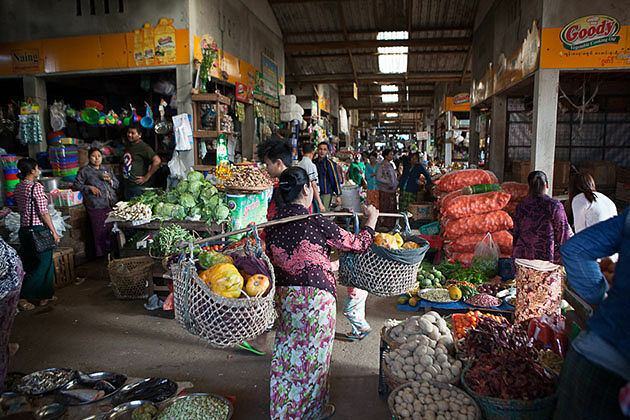 Myitkyina market is where people sell a variety of products and goods. From vegetable to seafood, from daily equipment to meat, and many more. 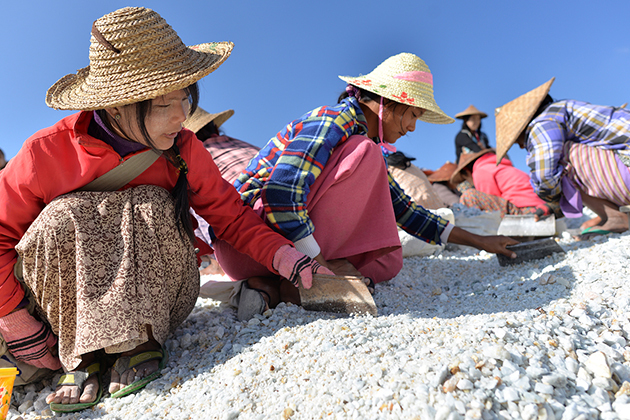 Additionally, the market in Myitkyna is where you will catch the image of Burmese women putting on Thanakha make-up, a traditional make-up powder of Burmese people dating back to a thousand years ago. For those visitors who are interested in discovering the culture of Myanmar, Kachin State Cultural Museum is one of the best Myitkyina’s attractions. 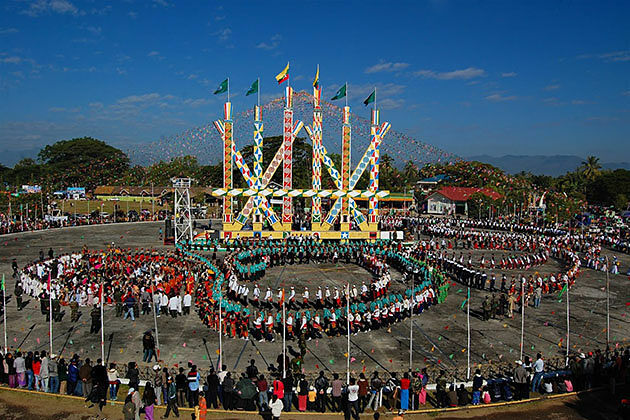 It is a great destination to visit in Myitkyina that would give an exciting display of Kachin State. There are an array of national races, traditional dresses, looms, silverware, jewelry, musical instrument and more. Besides, the museum in Myitkina is also where tourists can find an array of Buddha images from Pyu-era cities in central Myanmar. The gilded pagoda is the most beautiful religious site and famous attraction in Myitkyna sitting on the bank of Irrawaddy River. This is one of the most popular places in Myitkyna that local people come for worship. 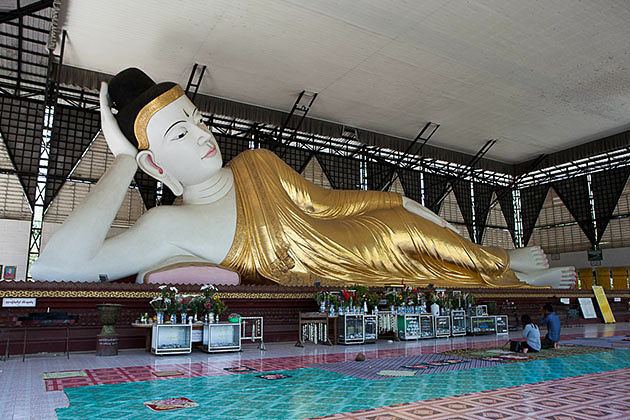 Hsu Taung Pye Zedidaw Pagoda is home to a golden stupa, a standing Buddha image, and a reclining Buddha image. About 25 km toward the north of Myitkyina, Myit-Sone located at the point where Mayhkha and Malikha Rivers comes together to meet Irrawaddy. 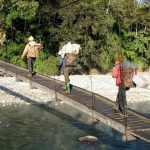 It is a local delightful spot in the list of Myitkyina attractions where tourists can behold the natural beauty and enjoy the nice breeze from the riverside at the confluence. That’s where often visited by the Burmese and Chinese from Yunan. The oldest religious site of Myit Sone: Catholic shrine of Mother Mary can be found eastward of the river. in addition, the is a pagoda that has been erected recently offers more places for visitors to discover. 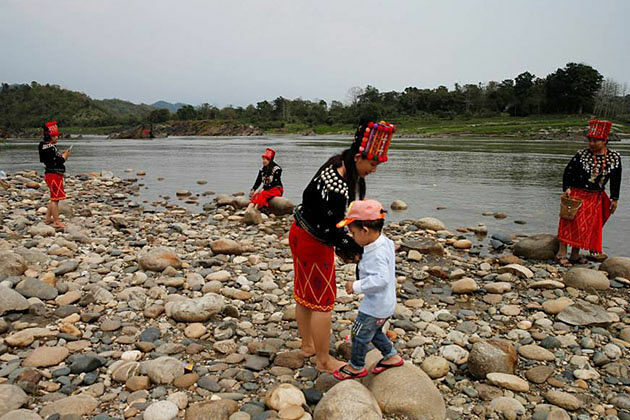 Together with sightseeing, tourists traveling to Myit Sone from Myitkyina will have a chance to savor the local food of Kachin one the side of the river. Kachine cuisine is a great combination of local with Myanmar, China, and Arunachal Pradesh. It characterized by rice – the main ingredient in the meal of almost countries in Asia. Upon here, let’s try the famous Shat Jam, Kachin traditional mixed rice made from boiled rice, mushroom, beans, and also chicken, pork or beef. Additionally, there are many mouth-watering curries and spicy food that will definitely satisfy your empty stomach! 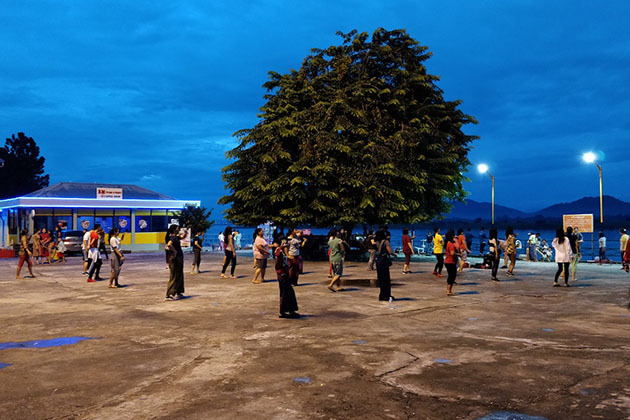 Myitkyina experiences 3 seasons in a year. Generally, the weather is Myitkina is relatively comfortable to visit in in all year round. From November to February is the cold and dry season. The temperature this time can fall down to about 5 °C at night. 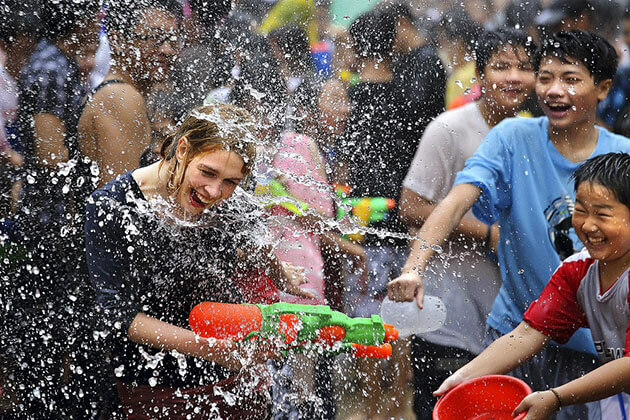 During day time, the weather is relatively comfortable with the temperature of about 20-27 °C. from March to June is the warm season. This time, the temperature climbs steadily. The highest temperature can reach 33 °C. from June to September is the wet season, this is when Myitkyina is less visited by the high rainfall and flooding sometimes. It is available to get to Myitkyina by train, bus, car, and by air. Taking a flight is considered the best and most convenient way to reach the town. There are several airways offer the flight to Myitkyna every day. Traveling by air from Yangon to Myitkyina is the most convenient way. It takes about 2 to 3 hours to reach Myitkyna from Yangon on air. There are 44 flights every week from Yangon International Airport to Myitkyina. 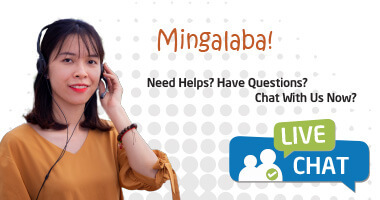 , Myanmar National Airlines, Mandalay Ltd, Asian Wings Airways, Golden Myanmar Airlines, Mann Yadanarpon Airlines, Yangon Airways, and Myanmar Intl are airline brands offers scheduled flights from Yangon To Myitkyina. The first flight of the day is at 6:30 am from Myanmar National Airlines and the last flight is at 1:00 pm Myanmar Intl. You can book the ticket 90 days in advance to avail of the best offers. Tourists are able to travel by train from Yangon To Myitkyina via Mandalay. The great distance from Mandalay To Myitkyina requires around 20 hours to travel. There are two through trains a day from Mandalay to Myitkyina, one is 9 am and another is 16 pm. There are several schedule bus leave Yangon every day to Myitkyina. Ticket can be bought at Aung Mingalar Bus Station. The average bus fare ranges from $ 33 to $ 40. All bus are provided with air-conditioning, blanket, and movie. 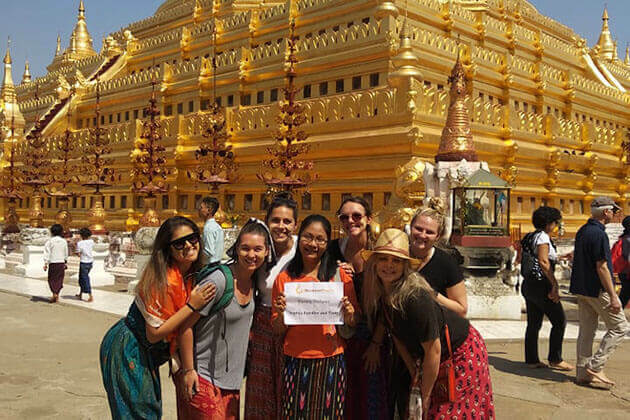 For more information and book a ticket from Yangon to Myitkyina, please contact us directly and let us do the rest for you! 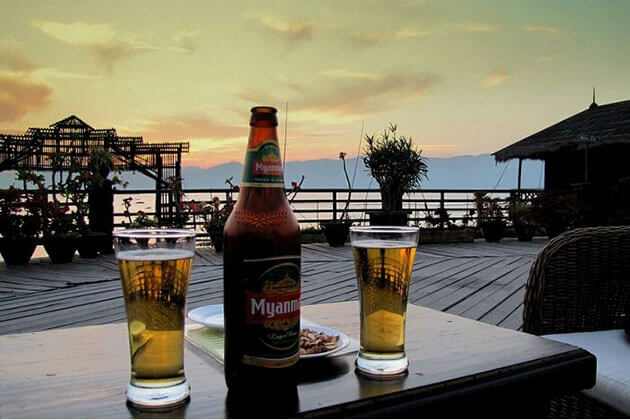 Located beautifully next to the Irrawaddy River, the restaurant is very popular amongst the youth in Myitkyina. It offers a good variety of dishes from Kachin, Myanmar, and Chinese with fair prices. English menu is available. This is a great place in Myitkyina if you want to savor the authentic Kachin food. 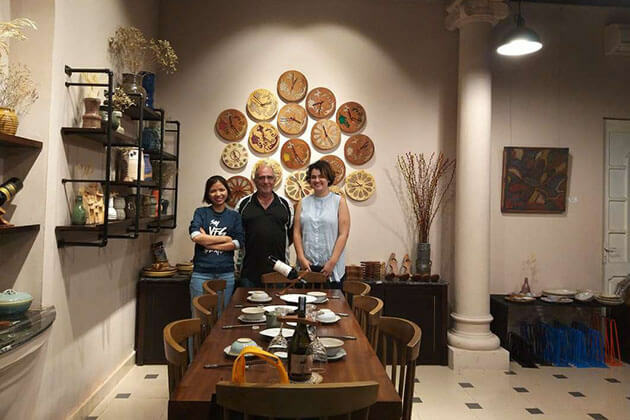 The dishes are varied and you can try the specialties including superb, tangy dried beef with spicy dipping sauce and pork, chicken that served in the banana leaf. This restaurant offers a variety of Chinese, Thailand, and Vietnamese cuisine with the Western classic. In addition, a cocktail or beer is also available after the meal. For dim sum lovers, it is impossible to skip River View restaurant for a nourishment breakfast. Even more, it serves customers with the wealthy local dish. Together with the food, the restaurant is a great place to behold the poetic sunset over the Irrawaddy River. For those tourists who want to buy fast food, Five Star Chicken is a great destination. The price is relatively comfortable from 800 – 1200 kyats (0.53 – 0.57 USD per leg or breast of the chicken.